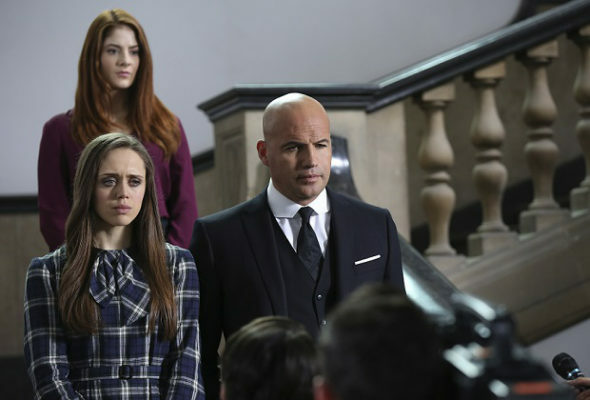 Guilt: Freeform TV show - cancel or renew for season 2? Guilt: Cancel or Renew for Season Two? Tonight marked the conclusion of the first season of Guilt on Freeform. But, will it be the end of the series as well? The killer was revealed but there are new mysteries to be solved. Will there be a second season? Should it be cancelled instead? On Guilt, a young woman is brutally murdered in her London flat and the search for her killer leads to scandal and intrigue. Her roommate, Grace (Daisy Head), becomes the prime suspect in the murder case and a popular target for the press and in social media. Grace’s sister, Natalie (Emily Tremaine), leaves her life in Boston and heads to London to defend her — along with an ethically questionable lawyer (Billy Zane). The rest of the cast includes Cristian Solimeno, Naomi Ryan, Kevin Ryan, Simona Brown, Zachary Fall, and Sam Cassidy. The series debuted to a 0.16 rating in the 18-49 demographic with 486,000 viewers. That was a poor start to be sure and the numbers dropped even lower over the next few weeks — falling to a 0.8 rating with 245,000. The ratings began to rise in week six and the past three episodes have been registering a 0.12 rating with about 310,000 viewers. While the increase in viewership is positive, the numbers are still quite low. When looking at the live + same day ratings averages, Guilt is currently Freeform’s lowest-rated scripted series. Kevin from Work, which aired last year, was cancelled with similar numbers. While it’s clear from tonight’s finale that the writers have plenty of new mysteries in mind for season two, the numbers aren’t on their side. Guilt could easily be cancelled based on the ratings. But, what do you think? Should Guilt be cancelled or renewed for a second season? Would you watch season two or was one season enough? 10/21 update: Freeform has cancelled Guilt after one season. Details here. More about: Guilt, Guilt: canceled or renewed? Season 2 please its the only show me and my boyfriend both agree on. I have been catching up on season 1 of Guilt and I like it. So far I like it and hope that it is renewed. My daughter and I watched Guilt from the pilot episode. Sometimes we watch it live and sometimes we DVR it (do those count in the ratings?) Either way, we love it and are hoping it comes back again!